Demoagro 2015 is coming up... Are you ready?? 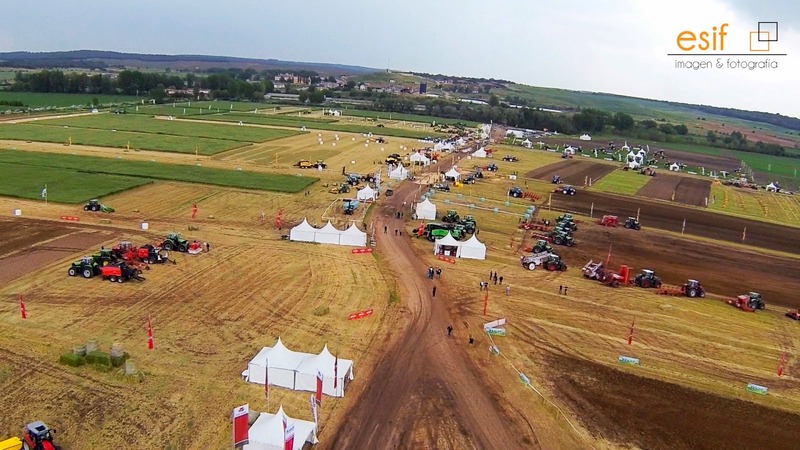 ​The most important farm fair about agriculture machinery in Spain is coming up. 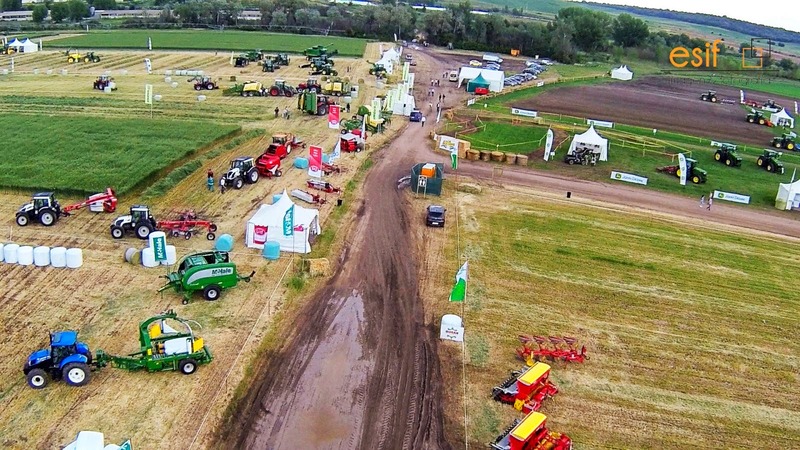 Next week, on 27th, 28​th and 29​th of May from 9:00 am to 18:00 pm every days, the second edition of Demoagro will take place in the Ventosilla Farm locate in the 63rd km on the Magaz-Aranda road in Gumiel de Mercado (Burgos) Village. Demoagro is organized by ANSEMAT and as in the first edition; we hope it will be a success. 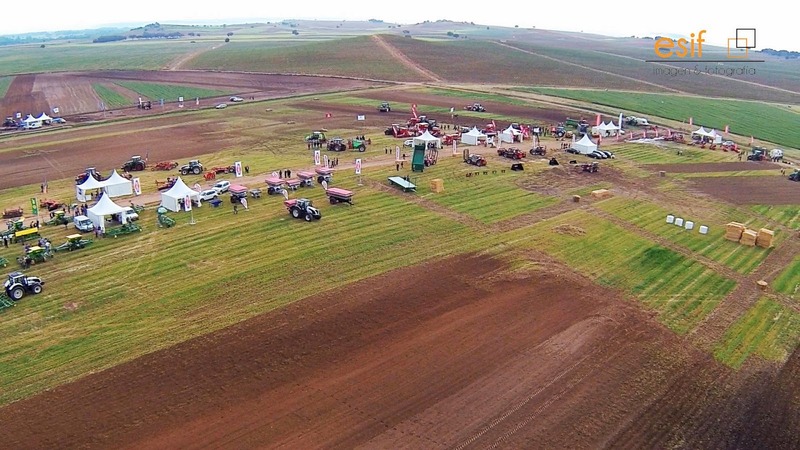 Nowadays, this farm fair is the only in Spain where all farmers can test all machinery exposed without any limits by themselves working on the field. There is an area of 80 hectares that is divided into 127 fields and they are grouped in three dedicated areas: DEMO-SOIL (in this area farmers can test tool to plough and harrowing to make a good seedbed, seed drills, sprayers, Spreaders,...), DEMO-HARVESTING (you can find machinery of harvesting and mowing, balers, picking up machinery for forage and bales,...) and DEMO-VINEYARD (there are specialized vineyard machinery like pruning system, chissel, narrow tractors,...). More of 50 companies (it is 25% more than last edition) are going to show their machinery and all their new developments. 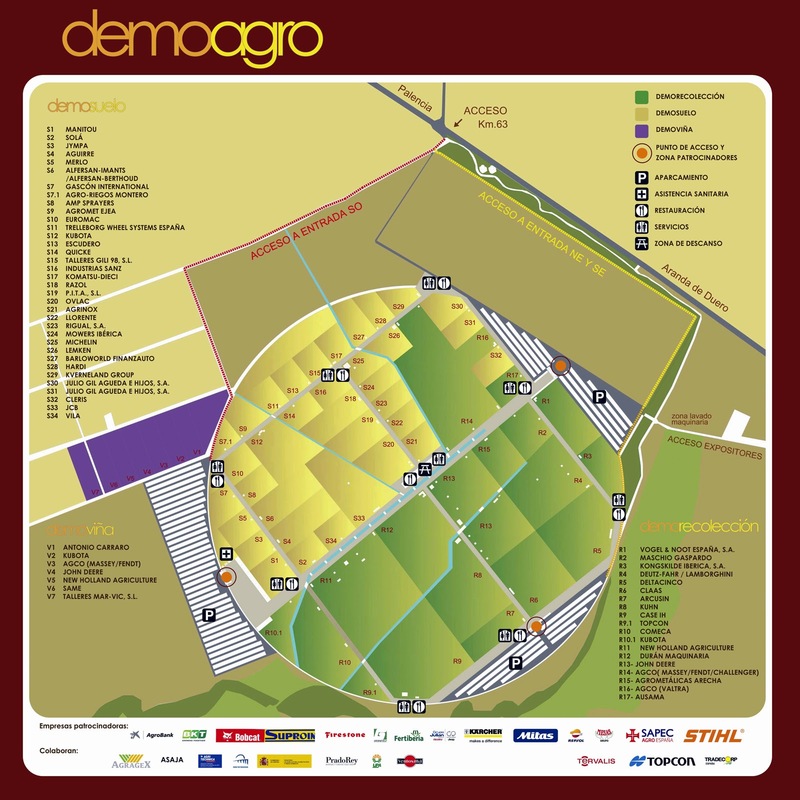 You can find all exhibitors in the list bellow which are going to be in Demoagro 2015 and you know the fields where they are going to show their farming machinery and conducting exhibitions. 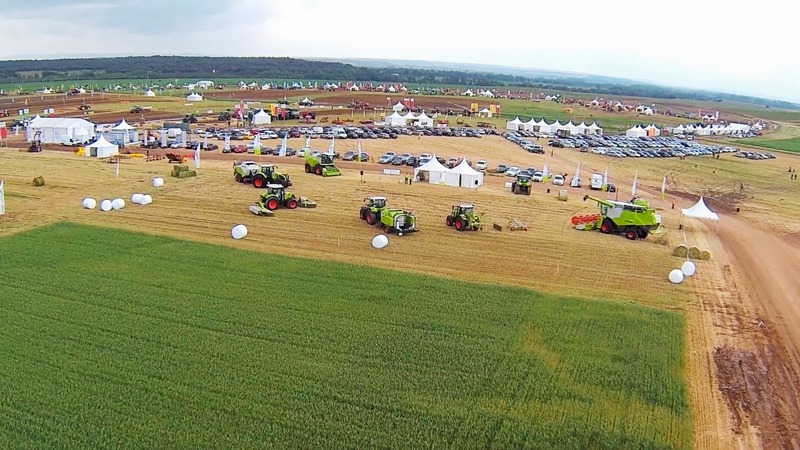 R1 VOGEL & NOOT ESPAÑA, S.A.
​We are going to visit Demoagro 2015 all days... the ticket is free and we think it is really profitable for you if you can visit and test tractors, combines, chissel, sprayers,... maybe you can know tools you have never seen them previously.​ But, if you cannot assist, don't worry. In next post​s​, we will share with you our experience.​ We hope everyone​!​!! The 35th edition of Expovicaman (the popular farm fair of Albacete), where there were 127 exhibitors (22 more than the last edition in 2013). It opened its doors from 7th to 10th of May. It took up 30,000 square meters (pavilion number 1 with 5,600 square meters, pavilion number 2 with 3,500 square meters and an outdoor area of 20,900 square meters)... the ticket cost only of 1€. The farm fair had an important exposure about machinery and there were some contests about manchega sheep and National auction, gastronomic lamb manchego, together with one contest about manchego cheese. In adition, there were a few talks, conferences and technical demonstrations. 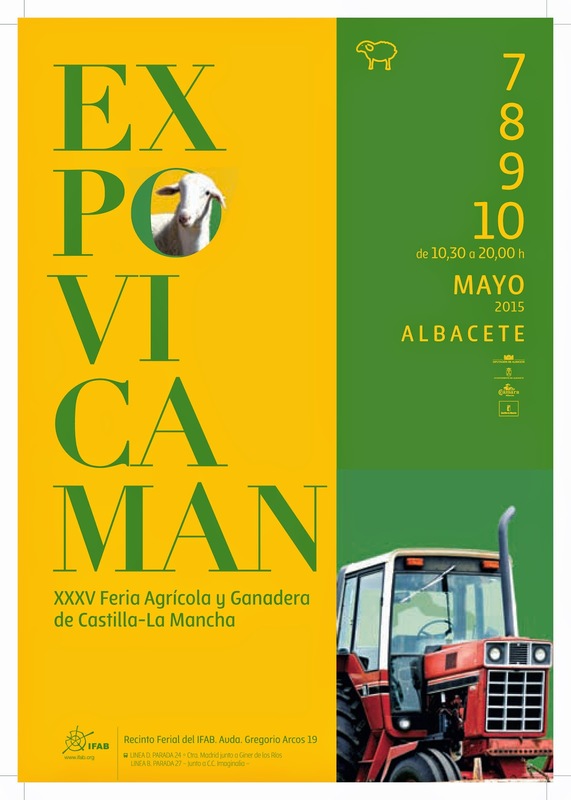 Other contests included in Expovicaman 2015 were about ability with tractor and trailer, pedal tractor race for children, photo contest and children's painting competition about manchego sheep. We could only visit the farm fair on Sunday morning so we only had time to visit the machinery area. The farm fair is very similar to past editions however we think you always can find some interesting newness. We think the highlights were tractors Valtra T​234, JCB Fastrac 3230, the new 6RC and 6MC Serios of John Deere and new models that are using adBlue (we could see​ e.g.​ the new 6195 R) and the new Deutz-Fahr 9340, new ​Gil sprayers, the Pellenc Optimum grape harvester and finally a new invent of General Agrícola brand to remove green shoots from the trunk of the vineyard strains (picture number 272). Regarding machinery were not in the farm fair,​ we would have liked to see the new tractor Kubota M7001 and the newfangled 1,000 Series of Fendt. Also, ​we would have liked to see some imported implements to tillage, seed drills ​or sprayers of Amazone, Lemken, Razol, Galucho brands (there were some kverneland and Kuhn plough and seed drills) because we saw a lot of tools manufactured by regional brands. In general, all the stands of leaders were very fine and we had a great morning. 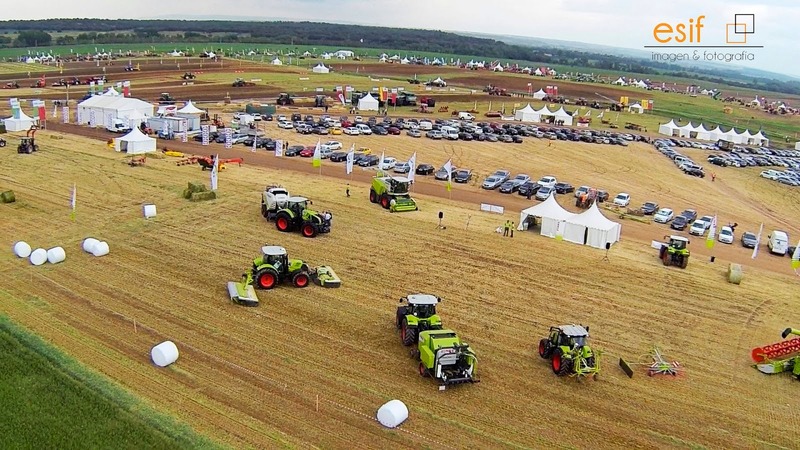 In Demoagro, which is going to be held on 27th, 28th and 29th of May, everybody will be able to test these tractors and tool working on fields... we invite you to go to Demoagro 2015... it will be really interesting. Twins' Farm. © 2019. La Alberca de Záncara - Cuenca. Spain. Powered by Blogger.